Below is a post written by our intern, Ben Whitney, who is most likely in the throes of mid-terms and spreadsheets. Thanks Ben. If I’ve learned anything in my short 20 years in the Earth, it is to always expect the unexpected. Unfortunately, it’s difficult to know when your clothing dryer might spontaneous combust (or is it?). However uncommon, dryer fires account for nearly $35 million in damages annually. With an average of 2,900 claims per year, that is average damages of $12,069 per reported fire. That is a heavy price to pay for not cleaning your dryer, not including the clothes inside. Many factors contribute to the overheating and combustion of residential clothing dryers. Of the dryer fires that occur annually, 34% can be attributed to failure to clean or properly maintain your dryer. The build-up of lint and debris can block airways in the dryer, causing it to overheat and spontaneously ignite. 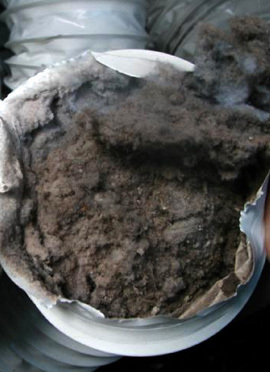 Emptying the lint try before every cycle and checking the ducts and vents could save you thousands. Does your dryer vent look like this? Of the contents of the dryer, lint, fiber, and dust are most likely to ignite, followed closely by the actual clothes in the dryer. I would hate to lose my favorite clothes in the dryer (my Holy Name Football sweatpants that my girlfriend has staked her claim to). 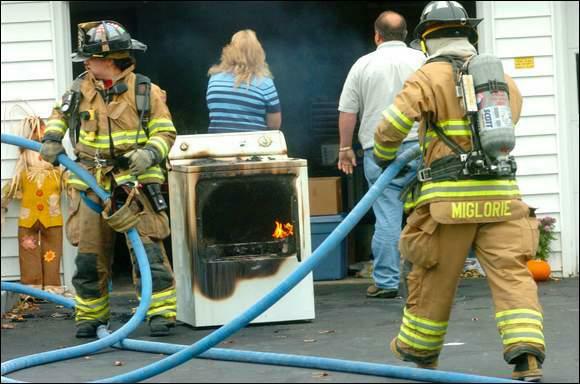 Fifty-four percent of dryer fires are contained to the object of origin, but that leaves a large likelihood the fire could spread to surrounding contents of the room. That would also mean that all the popcorn, candy, and snacks in my house would be gone too. If you hire a duct cleaner, you make bring your duct from fuzzy to clean. It takes simple steps to prevent a dryer fire from happening to you. Accumulated lint can severely inhibit the airflow in your dryer, so take the time to clean it occasionally. Most dryers have a vent leading outside, so there is the potential that debris or even animal nests could block up that vent, leading to backflow or hot air. Any blockage of air can cause your dryer to ignite, take the necessary measures to prevent it.